To celebrate Phase 1 of MapleStory 2‘s Skybound Expansion kicking off, we have five codes to give away for MapleStory 2 that include a digital prize pack of goodies! To enter, just head to our Facebook page! 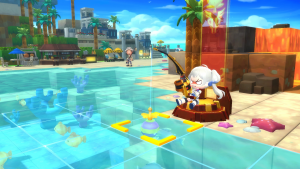 Learn more about the Skybound Expansion from our news post for MapleStory 2. Owner, Executive Editor of Rocket Chainsaw. I also edit TV, films and make average pancakes.